Goodgame Studios, one of the leading developers of gaming software in Germany, has embellished and expanded its successful simulation game Big Farm. With the new updates for the cooperative village and the expansion of fishing opportunities, Big Farm offers players a completely new area and gives them the opportunity for greater cooperation, thereby satisfying players’ wishes. 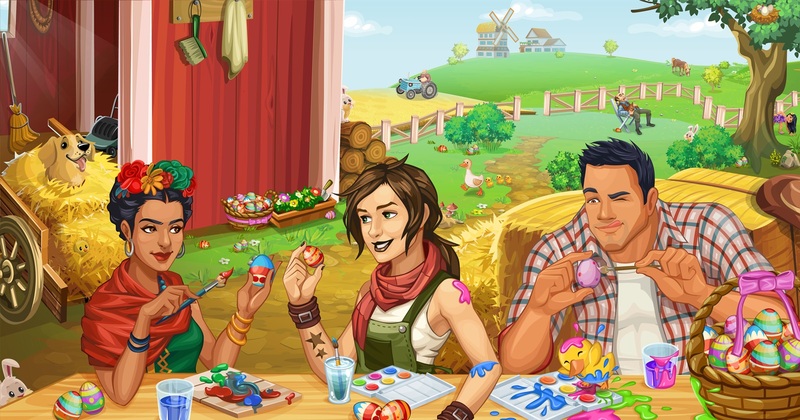 Big Farm has once again introduced a seasonal favorite, the popular Easter egg search event. This year, however, the event has expanded and Easter eggs can now be found hiding all over the Big Farm world. Goodgame Big Farm is currently updating its Cooperative Village. The feature was initially introduced last year and the first playable elements will be released with the upcoming update. At the request of the players, it is now possible for them to work together even more closely. Thus they now have the chance to construct a village together and to donate their own plants and resources to their cooperative. The new update also adds further aspects. There will be opportunities to manufacture building materials in order to build and expand the cooperative village, as well a horse meadow, a village league where they can compete in tasks as a team against other cooperatives, and even a new character. The latter is the adventurer Yarnacle, the twin brother of the well-established character Captain Barnacle. He tells the players many stories about his love, Matilda MacMuffin, and about his exciting voyages to the mysterious volcano island. At the same time, Yarnacle will offer the player great opportunities when they help him with his tasks. But that’s not all; additional features will be added in the coming months, and players can look forward to a new permanent farm, which is planned for the end of summer. Last year, the integration of fishing gave players a whole new environment and the chance to not only work hard harvesting their farms, but also to take to the water and fish. At the end of the month, this area will be enlarged and extend to the open sea. The player will see several areas they can send their boats to. In the background, they will also see the mysterious volcanic island that they’ve heard so much about in Yarnacle’s tales. 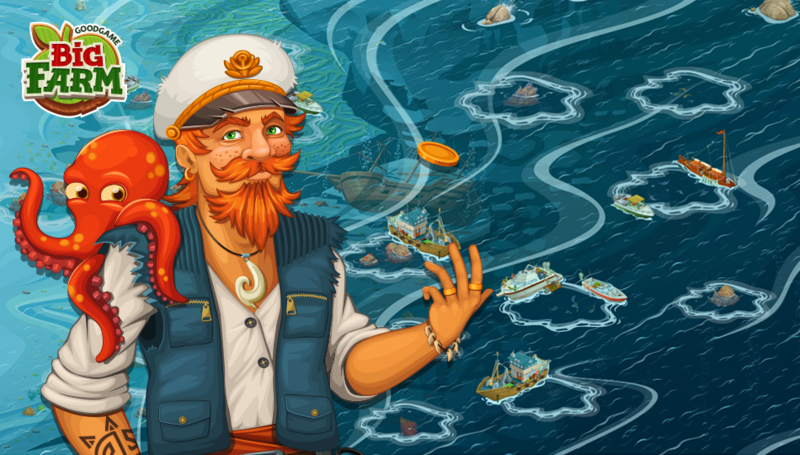 Players have the chance to own their very own fleet of vessels, which they can send out fishing. These boats can be upgraded in order to increase performance, and by hiring a crew and having several people on the boat, players will have a better chance of catching newly introduced fish and seafood. 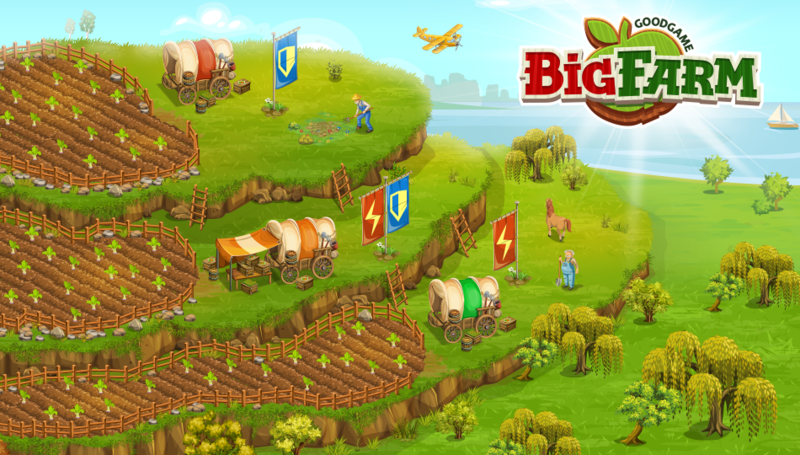 Big Farm is evolving steadily and is more than just a typical farm game. It offers players several different areas to explore and has a variety that satisfies all preferences. We can continue to look forward to new updates and expansions to Goodgame Big Farm in the future.